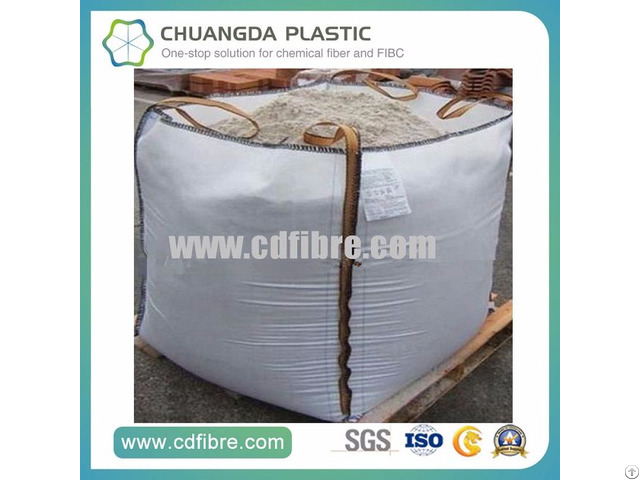 FIBCs are most often made of thick woven polypropylene, either coated or uncoated, and normally measure around 110 cm or 45-48 inches in diameter and varies in height from 100 cm up to 200 cm or 35 to 80 inches. 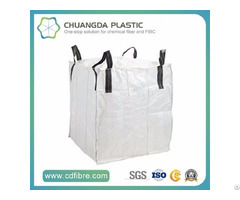 Its capacity is normally around 1000 kg or 2000 lbs, but the larger units can store even more. 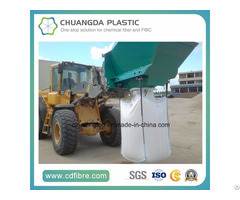 A bulk bag designed to transport one metric ton of material, will itself only weigh 5-7 lbs. 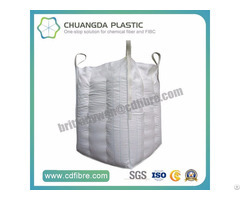 A flexible intermediate bulk container (FIBC) also called bulk bag, big bag, ton bag, jumbo bag or super sack, is an industrial container made of flexible fabric that is designed for storing and transporting dry, flowable products, such as minerals, gravel, stones, sand, cement, chemicals, metals, coals etc.